Most professionally monitored home security packages include motion detectors. They are essential to the absolute security of your home and family. Motion sensors are a great burglar deterrent and can protect the high-traffic areas of your home almost effortlessly. 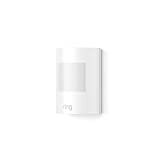 However, when you get your motion sensors, the most important part of the installation process is where you place them. 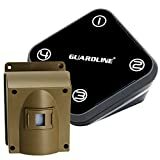 The location of your motion sensors can make all the difference in the world when it comes to how effective they are going to be in the unfortunate event of a break-in at your home. Placing them in the wrong places can cause their accuracy to plummet. On the other hand, placing motion detectors in the right spots around your home can create an immense difference in the success of your security system. For maximum security and to avoid false alarms, you should take into account the careful placement of each motion detector. In this post, we will discuss the best places for you to install your motion detectors for optimum security! Protect America understands that even the slightest movement can be indicative of danger—and you’ll want to be prepared in the event you’re unable to see or hear it. That’s why our innovative motion detectors use both heat and movement to detect intruders when your alarm system is armed. You can rest easy knowing that our motion sensors will shield and protect both your home and your family. At Protect America, we value protection just as much as simplicity and design. That’s why our motion detectors are both effective and easy to use. Each motion detector recognizes two things: heat and movement within a 25-foot range in a 90-degree arc. They measure the temperature of the objects in the rooms they are placed. When there is a sudden and significant change in temperature from one object to another (such as a human body moving), they trigger your alarm. Since they are relatively small, you can also confidently place the equipment in most nooks and crannies throughout your home. A good rule-of-thumb is to position them more heavily in high-traffic areas. These areas usually include the living room or entrance way to the body of the house. Additionally, our motion detectors are designed with pets in mind, meaning that they won’t detect animals up to 40 lbs., reducing false alarms. Motion detectors work best when the intruder walks past it as opposed to walking toward it. So, find the appropriate walls that an intruder would walk parallel to in your home. Follow all the installation instructions that come with your sensor, as well as the ones that are given to you over the phone by one of our specialized installation technicians. Never place a motion detector near areas or appliances that fluctuate in temperature, such as a furnace or an air vent. Sometimes air vents can cause them to go off because of the drastic temperature increase or decrease when you run your heater. Place them above eye-level on the walls in high-traffic areas of your house. Use a drill and screws to mount the sensors into the wall keeping it away from the heat source. Remember that one of the benefits of a motion detector is to deter burglars by sounding your alarm before they are able to poach your valuables. For this reason, it makes sense to place the sensors near likely entry points such as doors and first floor windows. A few well-placed motion detectors can provide great additional security. 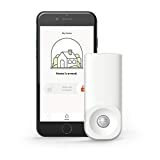 Besides entry points, other good places for motion detectors include hallways and stairways as they prevent passage from one area of the home to another. We hope these tips will help you better install your motion detectors. If you need additional help or advice, you can always call Protect America and our installation technicians will be happy to help you secure your home to it’s maximum capabilities with our systems. Whatever your needs, we can help you!